1. 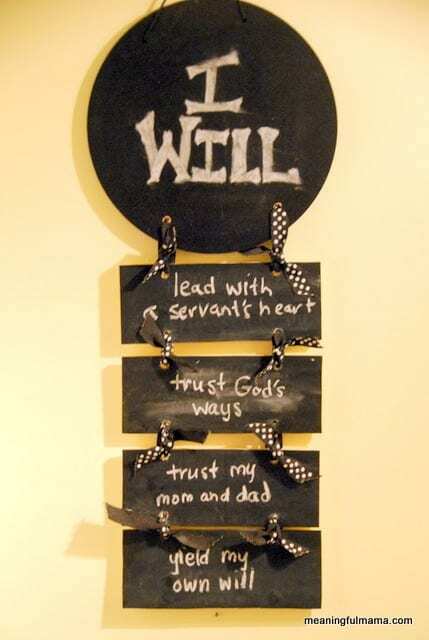 I will lead with a servant’s heart (courtesy of my wonderful husband). 2. I will trust God’s ways. 3. I will trust my mom and dad. 4. I will yield my own will.